Just like in regular shops a redecoration will work in a refreshing way for customers, that is also how a more up-to-date version of your website will boost your customers’ interest in your business! In a world constantly changing, will you stick to your old website version? Adjust to modern environment and you will not regret it! In the online world everything keeps changing really fast. Every website, no matter how well-designed it may be, needs to keep up with the latest technology to be able to meet the needs of all modern trends and offer the best possible experience to the user. 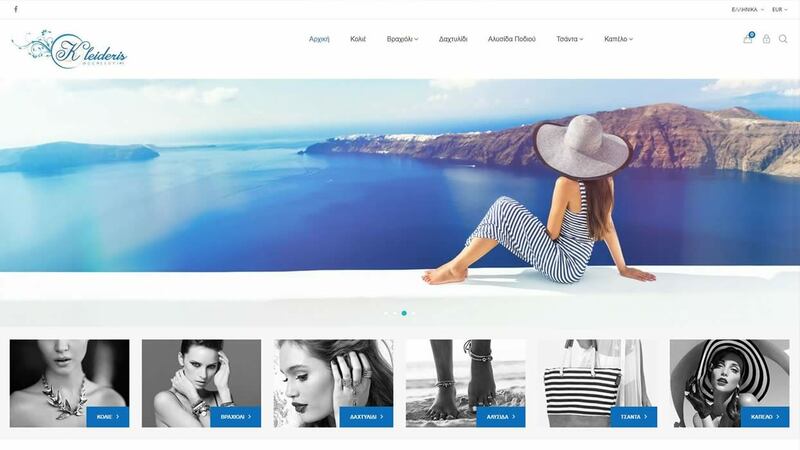 In Eshoped, we can renovate your website so that it follows the latest trends and we create all the standards for all future adjustments to be as subtle and “transparent” as possible to the user. Either a stylistic renovation or rebuilding it from scratch, we analyze together all the “dark” points of your website and we specify the strategy to be followed, as in the original website. Don’t send your customers away! A website rarely renovated might be the main factor of possible business opportunities lost and customer complaints. 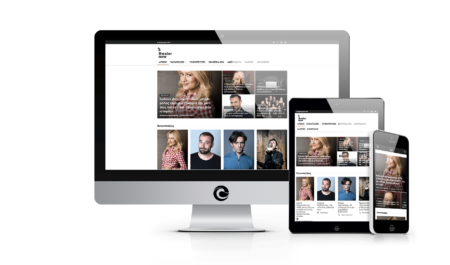 If the message you wish to convey as a company has changed and your website does no longer reflect the size or the dynamics of your company, then it is time for you to move on to a radical website renovation. Make them notice you! / Stand out! 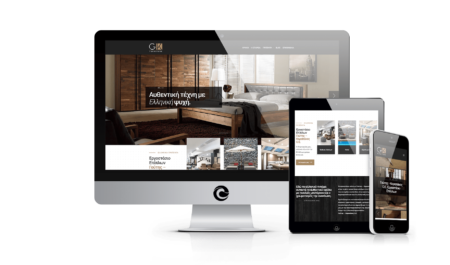 A website needs to be designed in a modern and innovative way, which will attract the visitor! It needs to load fast, be user-friendly and properly organized, with easily understandable page navigation, and above all, its content must interest its visitors. The way a website is displayed and operates is of utmost importance as the market grows more and more competitive. 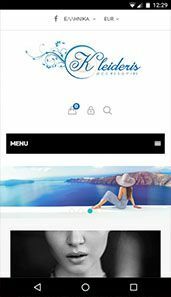 Thus, a website of modern design featuring state-of-the-art technology and at the same time, proper communication with possible customers, is essential for developing your online corporate image. Your website design should reflect and bring out in the best possible way your company’s identity and philosophy, as well as all the aspects making it unique. From a technical point of view, to load fast, operate 24x7, enable easy sharing on social media and of course be accessible on all mobile devices. So that its content is brought out properly. Moreover, it needs to facilitate the user in finding the information they seek while directing them to the designated- by you- steps, according to your business objectives. Analyzing your needs and goals concerning the website you wish to build and collecting all the necessary data. Creating a website is your first step towards a world full of potential. 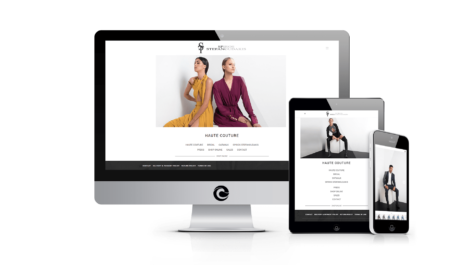 When you trust us with your website designing, you can be certain that it will be beautiful, and that it will stand out, compared to competition. Not only will it be well-built, according to the latest trends and Internet standards, but also it will direct the users exactly where you want them to be. No matter if it is a business presentation, an e-shop, a hotel website, a booking system or a portal! Every website is a challenge for us, and it is essential that it serves your business objectives. Our collaboration does not end as soon as we deliver your website. By providing training and technical support for any problem that may occur. We offer a full range of advertising solutions to anything your business may need. Online and Offline! Regarding all new potential and technology and we suggest the most suitable way of promoting your website. (Google Ads, SEO, Social Media Marketing etc.) so that your investment is even more profitable. 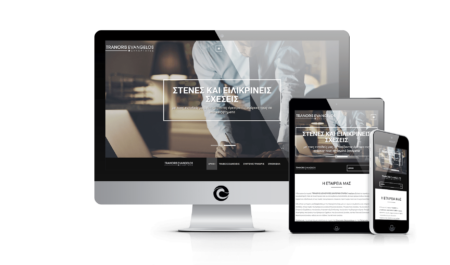 There is so much more that we can do for you apart from redesigning your website or e-shop and we would be delighted to have you contact us; this way we can get to know each other, record your needs and offer you the best possible solution! We are looking forward to meeting!